Travel is dangerous in the warp – and somewhere between the board and the PC, Full Control’s Space Hulk was lost in translation. It was a good adaptation, but a worse game – and nothing in its subsequent DLC releases changed that. Ascension isn’t a sequel, but it is a major enough rework to warrant the sending of another search party. Full Control have introduced Terminator-naming and an XP system to their claustrophobic corridors. Expect “RPG-style” mechanics – which as in most non-RPGs means a semblance of permanent progression for your characters, rather than branching dialogue trees. An also-ran turn-based tactics game does not XCOM make, but individually-levelling, personally-named squaddies might go some way to co-opting the tension of Firaxis’ masterpiece. Here’s what else we’re getting: more complex maps, new variations of genestealers, squad management mechanics, and another Space Marine chapter – perennial tabletop favourites the Ultramarines. They’re blue. 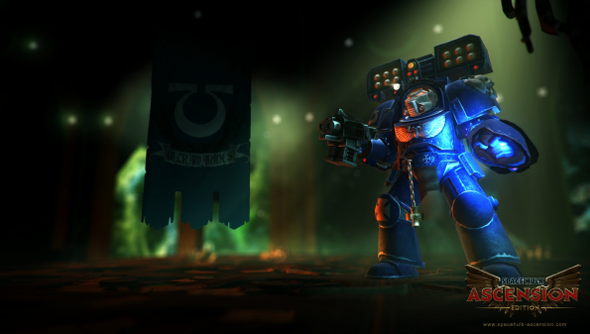 Space Hulk Ascension will be out on Windows, Mac and Linux sometime before Christmas. Will it be everything it aspires to be, do you think?